It’s been over two years since the release of Raspbian Jessie. As of August 17th, 2017, the Raspberry Pi foundation has officially released the successor to Raspbian Jessie — Raspbian Stretch. Just as I have done in previous blog posts, I’ll be demonstrating how to install OpenCV 3 with Python bindings on Raspbian Stretch. How to install OpenCV 3.0 on Raspbian Jessie. Installing OpenCV on your Raspberry Pi Zero running Raspbian Jessie. Installing OpenCV 3.0 for both Python 2.7 and Python 3+ on Raspbian Wheezy. Install OpenCV 2.4 for Python 2.7 on Raspbian Wheezy. Otherwise, let’s proceed with getting OpenCV 3 with Python bindings installed on Raspian Stretch! In this tutorial, I am going to assume that you already own a Raspberry Pi 3 with Raspbian Stretch installed. If you don’t already have the Raspbian Stretch OS, you’ll need to upgrade your OS to take advantage of Raspbian Stretch’s new features. To upgrade your Raspberry Pi 3 to Raspbian Stretch, you may download it here and follow these upgrade instructions (or these for the NOOBS route which is recommended for beginners). The former instructions take approximately 10 minutes to download via a torrent client and about 10 minutes to flash the SD card at which point you can power up and proceed to the next section. Note: If you are upgrading your Raspberry Pi 3 from Raspbian Jessie to Raspbian Stretch, there is the potential for problems. Proceed at your own risk, and consult the Raspberry Pi forums for help. Important: It is my recommendation that you proceed with a fresh install of Raspbian Stretch! Upgrading from Raspbian Jessie is not recommended. Remote access via SSH or VNC. I’ll be doing the majority of this tutorial via SSH, but as long as you have access to a terminal, you can easily follow along. Can’t SSH? If you see your Pi on your network, but can’t ssh to it, you may need to enable SSH. This can easily be done via the Raspberry Pi desktop preferences menu (you’ll need an HDMI cable and a keyboard/mouse) or running sudo service ssh start from the command line of your Pi. After you’ve changed the setting and rebooted, you can test SSH directly on the Pi with the localhost address. Open a terminal and type ssh pi@127.0.0.1 to see if it is working. Keyboard layout giving you problems? Change your keyboard layout by going to the Raspberry Pi desktop preferences menu. I use the standard US Keyboard layout, but you’ll want to select the one appropriate for your keyboard or desire (any Dvorkac users out there?). If you’ve ever installed OpenCV on a Raspberry Pi (or any other platform before), you know that the process can be quite time consuming with many dependencies and pre-requisites that have to be installed. The goal of this tutorial is to thus guide you step-by-step through the compile and installation process. In order to make the installation process go more smoothly, I’ve included timings for each step so you know when to take a break, grab a cup of coffee, and checkup on email while the Pi compiles OpenCV. Let’s go ahead and get started installing OpenCV 3 on your Raspberry Pi 3 running Raspbian Stretch. Are you using a brand new install of Raspbian Stretch? 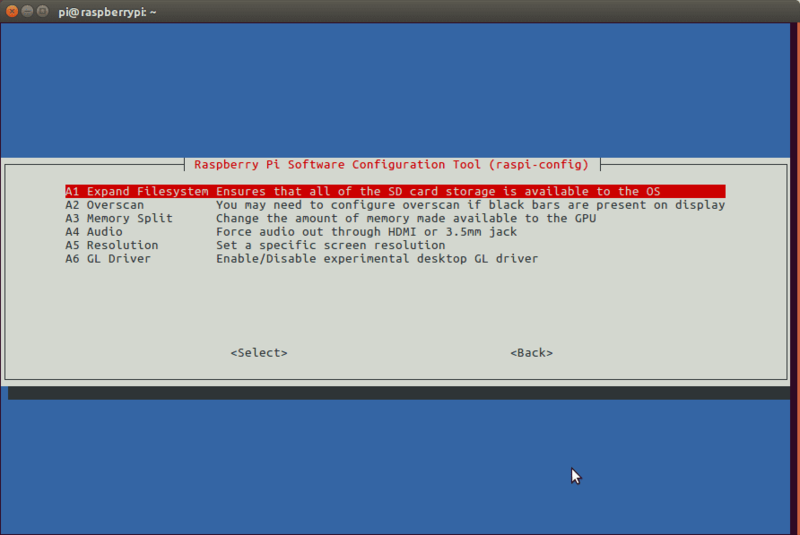 Figure 1: Select the “Advanced Options” item from the “raspi-config” menu. Figure 2: Expanding the filesystem on your Raspberry Pi 3. As you can see, my Raspbian filesystem has been expanded to include all 32GB of the micro-SD card. However, even with my filesystem expanded, I have already used 15% of my 32GB card. This isn’t the first time I’ve discussed how to install OpenCV on the Raspberry Pi, so I’ll keep these instructions on the brief side, allowing you to work through the installation process: I’ve also included the amount of time it takes to execute each command (some depend on your Internet speed) so you can plan your OpenCV + Raspberry Pi 3 install accordingly (OpenCV itself takes approximately 4 hours to compile — more on this later). These optimization libraries are especially important for resource constrained devices such as the Raspberry Pi. If you’re working with a fresh install of the OS, it is possible that these versions of Python are already at the newest version (you’ll see a terminal message stating this). If you skip this step, you may notice an error related to the Python.h header file not being found when running make to compile OpenCV. Note: Make sure your opencv and opencv_contrib versions are the same (in this case, 3.3.0). If the versions numbers do not match up, then you’ll likely run into either compile-time or runtime errors. Step #4: Python 2.7 or Python 3? You may get a message that pip is already up to date when issuing these commands, but it is best not to skip this step. If you’re a longtime PyImageSearch reader, then you’ll know that I’m a huge fan of both virtualenv and virtualenvwrapper. Installing these packages is not a requirement and you can absolutely get OpenCV installed without them, but that said, I highly recommend you install them as other existing PyImageSearch tutorials (as well as future tutorials) also leverage Python virtual environments. I’ll also be assuming that you have both virtualenv and virtualenvwrapper installed throughout the remainder of this guide. So, given that, what’s the point of using virtualenv and virtualenvwrapper ? First, it’s important to understand that a virtual environment is a special tool used to keep the dependencies required by different projects in separate places by creating isolated, independent Python environments for each of them. In short, it solves the “Project X depends on version 1.x, but Project Y needs 4.x” dilemma. It also keeps your global site-packages neat, tidy, and free from clutter. If you would like a full explanation on why Python virtual environments are good practice, absolutely give this excellent blog post on RealPython a read. In previous tutorials, I’ve recommended using your favorite terminal-based text editor such as vim , emacs , or nano to update the ~/.profile file. If you’re comfortable with these editors, go ahead and update the file to reflect the changes mentioned above. Logging out and then logging back in. Note: I recommend running the source ~/.profile file each time you open up a new terminal to ensure your system variables have been setup correctly. Again, I can’t stress this point enough: the cv Python virtual environment is entirely independent and sequestered from the default Python version included in the download of Raspbian Stretch. Any Python packages in the global site-packages directory will not be available to the cv virtual environment. Similarly, any Python packages installed in site-packages of cv will not be available to the global install of Python. Keep this in mind when you’re working in your Python virtual environment and it will help avoid a lot of confusion and headaches. 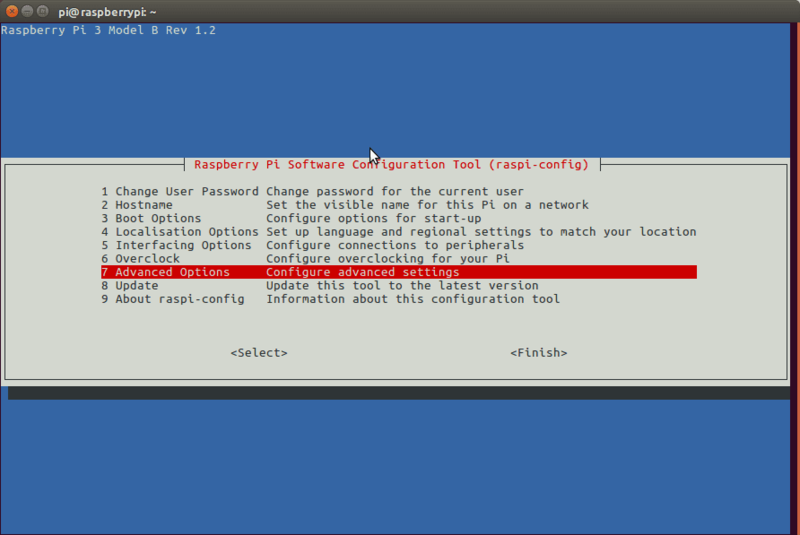 If you ever reboot your Raspberry Pi; log out and log back in; or open up a new terminal, you’ll need to use the workon command to re-access the cv virtual environment. In previous blog posts, I’ve seen readers use the mkvirtualenv command — this is entirely unneeded! The mkvirtualenv command is meant to be executed only once: to actually create the virtual environment. 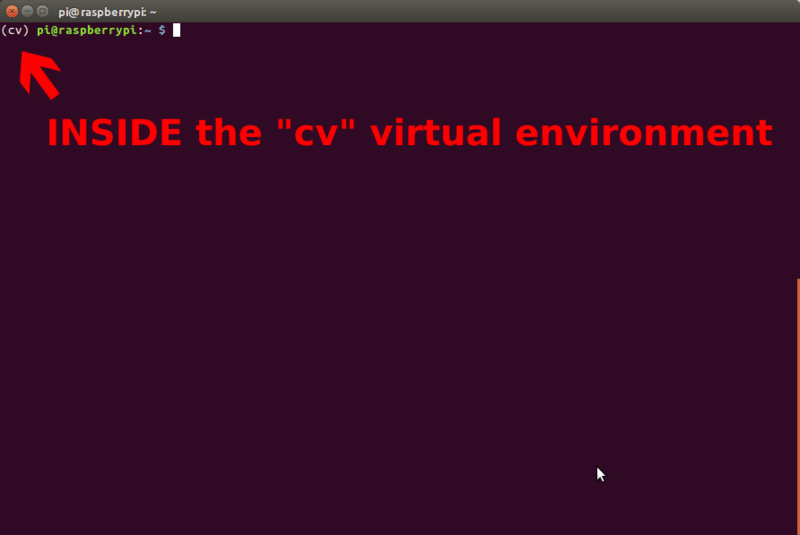 Figure 3: Make sure you see the “(cv)” text on your prompt, indicating that you are in the cv virtual environment. Figure 4: If you do not see the “(cv)” text on your prompt, then you are not in the cv virtual environment and need to run “source” and “workon” to resolve this issue. To fix this, simply execute the source and workon commands mentioned above. Be sure to grab a cup of coffee or go for a nice walk, the NumPy installation can take a bit of time. Note: A question I’ve often seen is “Help, my NumPy installation has hung and it’s not installing!” Actually, it is installing, it just takes time to pull down the sources and compile. You can verify that NumPy is compiling and installing by running top . Here you’ll see that your CPU cycles are being used compiling NumPy. Be patient. The Raspberry Pi isn’t as fast as your laptop/desktop. $ cd ~/opencv-3.3.0/ $ mkdir build $ cd build $ cmake -D CMAKE_BUILD_TYPE=RELEASE \ -D CMAKE_INSTALL_PREFIX=/usr/local \ -D INSTALL_PYTHON_EXAMPLES=ON \ -D OPENCV_EXTRA_MODULES_PATH=~/opencv_contrib-3.3.0/modules \ -D BUILD_EXAMPLES=ON ..
Now, before we move on to the actual compilation step, make sure you examine the output of CMake! Start by scrolling down the section titled Python 2 and Python 3 . Figure 6: Checking that Python 3 will be used when compiling OpenCV 3 for Raspbian Stretch on the Raspberry Pi 3. Notice how the Interpreter points to our python2.7 binary located in the cv virtual environment. The numpy variable also points to the NumPy installation in the cv environment. In either case, if you do not see the cv virtual environment in these variables paths, it’s almost certainly because you are NOT in the cv virtual environment prior to running CMake! If this is the case, access the cv virtual environment using workon cv and re-run the cmake command outlined above. Before you start the compile process, you should increase your swap space size. This enables OpenCV to compile with all four cores of the Raspberry PI without the compile hanging due to memory problems. Notice that I’ve commented out the 100MB line and added a 1024MB line. This is the secret to getting compiling with multiple cores on the Raspbian Stretch. If you skip this step, OpenCV might not compile. Note: It is possible to burn out the Raspberry Pi microSD card because flash memory has a limited number of writes until the card won’t work. It is highly recommended that you change this setting back to the default when you are done compiling and testing the install (see below). To read more about swap sizes corrupting memory, see this page. Figure 7: Our OpenCV 3 compile on Raspbian Stretch has completed successfully. Note: In some cases, OpenCV can be installed in /usr/local/lib/python2.7/dist-packages (note the dist-packages rather than site-packages ). If you do not find the cv2.so bindings in site-packages , we be sure to check dist-packages . I honestly don’t know why, perhaps it’s a bug in the CMake script, but when compiling OpenCV 3 bindings for Python 3+, the output .so file is named cv2.cpython-35m-arm-linux-gnueabihf.so (or some variant of) rather than simply cv2.so (like in the Python 2.7 bindings). Congratulations, you now have OpenCV 3 installed on your Raspberry Pi 3 running Raspbian Stretch! But before we pop the champagne and get drunk on our victory, let’s first verify that your OpenCV installation is working properly. Figure 8: Confirming OpenCV 3 has been successfully installed on my Raspberry Pi 3 running Raspbian Stretch. Notice that I’ve commented out the 1024MB line and uncommented the 100MB line. If you skip this step, your memory card won’t last as long. As stated above, larger swap spaces may lead to memory corruption, so I recommend setting it back to 100MB. Q. When I try to execute mkvirtualenv and workon , I get a “command not found error”. Make certain that you have installed virtualenv and virtualenvwrapper via pip . You can check this by running pip freeze and then examining the output, ensuring you see occurrences of both virtualenv and virtualenvwrapper . You might not have updated your ~/.profile correctly. Use a text editor such as nano to view your ~/.profile file and ensure that the proper export and source commands are present (again, check Step #4 for the contents that should be appended to ~/.profile . You did not source your ~/.profile after editing it, rebooting, opening a new terminal, etc. Any time you open a new terminal and want to use a virtual environment, make sure you execute source ~/.profile to load the contents — this will give you access to the mkvirtualenv and workon commands. Q. After I open a new terminal, logout, or reboot my Pi, I cannot execute mkvirtualenv or workon . A. See reason #3 from the previous question. Q. When I (1) open up a Python shell that imports OpenCV or (2) execute a Python script that calls OpenCV, I get an error: ImportError: No module named cv2 . A. Unfortunately, this error is extremely hard to diagnose, mainly because there are multiple issues that could be causing the problem. To start, make sure you are in the cv virtual environment by using workon cv . If the workon command fails, then see the first question in this FAQ. If you’re still getting an error, investigate the contents of the site-packages directory for your cv virtual environment. You can find the site-packages directory in ~/.virtualenvs/cv/lib/python2.7/site-packages/ or ~/.virtualenvs/cv/lib/python3.5/site-packages/ (depending on which Python version you used for the install). Make sure that your sym-link to the cv2.so file is valid and points to an existing file. Q. I’m running into other errors. A. Feel free to leave a comment and I’ll try to provide guidance; however, please understand that without physical access to your Pi it can often be hard to diagnose compile/install errors. If you’re in a rush to get OpenCV up and running on your Raspberry Pi be sure to take a look at the Quickstart Bundle and Hardcopy Bundle of my book, Practical Python and OpenCV. Both of these bundles include a Raspbian .img file with OpenCV pre-configured and pre-installed. Simply download the .img file, flash it to your Raspberry Pi, and boot! This method is by far the easiest, hassle free method to getting started with OpenCV on your Raspberry Pi. Congrats! You have a brand new, fresh install of OpenCV on your Raspberry Pi — and I’m sure you’re just itching to leverage your Raspberry Pi to build some awesome computer vision apps. But I’m also willing to bet that you’re just getting started learning computer vision and OpenCV, and you’re probably feeling a bit confused and overwhelmed on where exactly to start. Personally, I’m a big fan of learning by example, so a good first step would be to read this blog post on accessing your Raspberry Pi Camera with the picamera module. This tutorial details the exact steps you need to take to (1) capture photos from the camera module and (2) access the raw video stream. And if you’re really interested in leveling-up your computer vision skills, you should definitely check out my book, Practical Python and OpenCV + Case Studies. 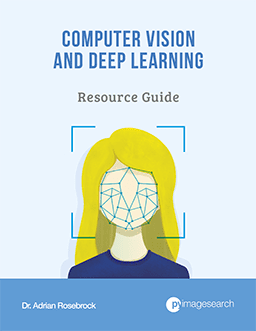 My book not only covers the basics of computer vision and image processing, but also teaches you how to solve real world computer vision problems including face detection in images and video streams, object tracking in video, and handwriting recognition. All code examples covered in the book are guaranteed to run on the Raspberry Pi 2 and Pi 3 as well! Most programs will also run on the B+ and Zero models, but might be a bit slow due to the limited computing power of the B+ and Zero. 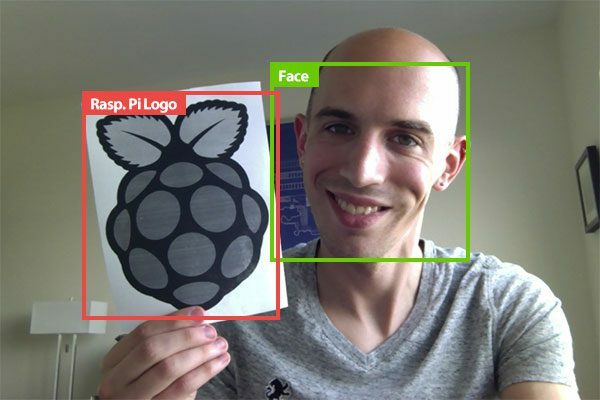 So let’s put your fresh install of OpenCV on your Raspberry Pi to good use — just click here to learn more about the real-world projects you can solve using your Raspberry Pi + Practical Python and OpenCV . In this blog post, we learned how to upgrade your Raspberry Pi 3‘s OS to Raspbian Stretch and to install OpenCV 3 with either Python 2.7 or Python 3 bindings. Are you looking for a project to work on with your new install of OpenCV on Raspbian Stretch? Readers have been big fans of this post on Home surveillance and motion detection with the Raspberry Pi, Python, OpenCV, and Dropbox. I tend to utilize the Raspberry Pi quite a bit on this blog, so if you’re interested in learning more about the Raspberry Pi + computer vision, enter your email address in the form below to be notified when these posts go live! Adrian. I want to ask something. I have the Raspberry Pi 2 (and its camera module), but I just don’t know what kind of project I can do with it. Since I am busy, if possible, I want to make a project that can contribute the most to what I am learning right now (mainly machine learning). Do you have any idea? I were thinking of using it for scrapping data, but do not know where to begin. I would be very happy if you could recommend some suggestions. Hi Hilman — the Raspberry Pi 2 is a bit underpowered so I wouldn’t recommend training a machine learning classifier on your Pi, but I could see deploying one. Have you considered training an image classifier to recognize a particular object on your laptop/desktop and then actually running it on your Raspberry Pi? Also, keep in mind that all chapters inside Practical Python and OpenCV will run on the Raspberry Pi. Go through any of those chapters and you can execute the projects on the Pi (such as face detection + tracking). Those chapters make for excellent starting points for projects. Ah… I forgot about that book. Will take a look at it later. Thanks! for me i don’t know why the comment bar is not showing up, so i decided to write in the reply section. ok for me i find there is an error after make -j4 step.every thing up till then worked fine,but don’t know what went wrong. I just followed your post, i am not familiar with terminal window commands .please help. Can i install OpenCV- 2.4.9 in Raspbian stratch…..? It’s a bit of a pain, to be honest. You’ll need to combine the steps from this tutorial along with original one on installing OpenCV 2.4 on Raspbian Wheezy. Be prepared to run into problems and do a bit of debugging. Thq…..very much Adrian . I successfully OpenCV-3.3.0 with Python-3.5 in pi 3.Only problem, it takes 6h duration . Anyway i install Opencv . Congrats on getting OpenCV installed! this’s my error. can I know how to fix this error. Double-check your path to the input image. It sounds like the path is incorrect and cv2.imread is returning None. BTW: Thanks a lot Adrian, you’re a Rock!!!! I wanted to share a neat little trick: You can actually enable SSH on the RPi just by placing an empty “ssh” file (case sensitive!) in the root of the sd card (once Raspbian is flashed). This makes running a 100% “headless” RPi possible: From there you can keep working with SSH or enable VNC and see the desktop from there. Wow, that’s a neat trick! Thanks for sharing Jorge. Your page has been explained in an easy-to-understand and polite manner, so it’s always helpful very much. I immediately installed the CV with reference to this page. However, Python IDLE in the program menu causes an error in importing. How can I use CV from IDLE? Hi Hidenori — as far as I understand, the GUI version of Python IDLE does not support virtual environments, thus you cannot use it. I would suggest you use IDLE via the command line (so you can access the Python virtual environment) or use Jupyter Notebooks. I hope that helps! how to install open cv 3 without installing virtual environments? Don’t install virtualenv/virtualenvwrapper and don’t use the “mkvirtualenv” command to create a Python virtual environment. You’ll need “sudo” permission to install any pip-based packages. I already installed virtual environments. Now I’m not able to import cv2 in Idle. Any solution? I Don’t want to access Idle from command line. Python IDLE does not respect Python virtual environments. You would need to the command line. Another approach would be to install Jupyter Notebooks which will give you an incredibly powerful IDLE-like environment. If you aren’t going to run the tests, you can save a fair amount of compile time by not including them. To do that, add “-D BUILD_TESTS=OFF” and “-D BUILD_PERF_TESTS=OFF” to the CMake command line. All your ” Quickstart Bundle and Hardcopy Bundle book, Practical Python and OpenCV” I bought are a jewel i am happy to have invested in. 1. Use Haar cascades rather than the HOG face detector. While Haar cascades are less accurate, they are also faster. I have Pi 3, Kindly do a tutorial with an example to implement the above options. Hi Abkul — thank you for picking up a copy of Practical Python and OpenCV, I appreciate your support! And yes, I will be covering an updated drowsiness detector for the Raspberry Pi in the future. I can’t say exactly when this will be as I’m very busy finishing up the new deep learning book, but it will happen before the end of the year. I already covered the blog post you are referring to here. I’ll also be doing an updated one on OpenMP in the future. Followed step-by-step and it worked like a charm. Compile took about 4 hours, as expected. Thanks! Congrats on getting OpenCV installed, Rick! Nice job. You would need to create two separate Python virtual environments. One for Python 2.7 and one for Python 3. Form there you can run CMake + make from inside each virtual environment to build OpenCV. Congrats on getting OpenCV installed, Charles! Nice job. Upon following this latest tutorial The compile did hang up around 91% using 4 cores on RPi2. Following the tutorial RPi2 on Jessie however compiled on Stretch using all 4 cores without issue. Thank you for sharing your experience, Larry! I am following this install on a Pi 2b. If I backup the sd card – will it work on a Pi 3 ? I installed OpenCv on my raspberry pi3 (2017-08-16-raspbian-stretch) by following step by step your latest tutorial. The compilation went well and the result is similar to yours. This program works fine on my computer with Linux Mint. Thanks for your reply and sorry for my approximate English. The issue with the multi threaded build is the lack of size of the swap file. You need to increase it to something like 1GB for doing intensive builds. I tried serveral times and did follow your great tutorial in detail. Anyhow, I am not able to get the virtualenvwrapper working (and, due to this, I have issues later on). I did not find any clue to overcome this problem. Which Python version were you trying to install OpenCV + Python for? Python 2.7? Or Python 3? Thanks. I had the same error. This solved it. In setting up the ~/.profile, I had to add the line: “export VIRTUALENVWRAPPER_PYTHON=/usr/bin/python3” before “source /usr/local/bin/virtualenvwrapper.sh”. Otherwise, I got the “No module named virtualenvwrapper.hook_loader” error. I also had to add export VIRTUALENVWRAPPER_PYTHON=/usr/bin/python3” otherwise I“No module named virtualenvwrapper.hook_loader” error. It should have have an impact. using pip3 instead of pip to make the virtual env. Well, it is very strange for my case. I installed on python 2.7, was seeing”no module named virtualenvwrapper”. source /usr/local/bin/virtualenvwrapper.sh” Still didn’t fix the problem. Then I modified to “export VIRTUALENVWRAPPER_PYTHON=/usr/bin/python3”, the error is magically gone. Just a word of warning: Stretch takes more space than Jessie (~4GB vs ~3GB) so to prevent OpenCV from building on a 8GB card. Did not work on the 8GB, not enoght space. Fail in make -j4 at 30%. and change CONF_SWAPSIZE to 2048 and reboot. You can then do make -j4. you also need to do the same thing to install dlib as that will also hang under stretch when it runs out of memory. Great point Stephen, thank you for sharing. How exactly is this done? I can’t save any changes to the swapfile after I make them. Make sure you use “sudo” to give yourself the proper permissions to edit the file. why can’t I import cv2 directly from python shell? but when I go to terminal and write work on and import cv2 then it works. But I like to import cv2 from the script. so what can I do for that? I am using python 2.7 and pi3. Same problem here, except i’m using Python 3.5.3. Did you find a solution ? Does anyone have a solution ? I got it to import from my python script using the following code (this is on the pre-configured version of raspbian that comes with the Practical Python and OpenCV + Case Studies starter bundle. Thanks ! I was successfully able to install open cv on my pi3 . At end you forgot to mention about deleting those zips (open cv and contrib ) file which might add few more mb of free space. How do we access the environment variable in VNC or desktop terminal as” source ~/.profile “and” workon cv ” give invalid option . SSH i am able to get the cv environment. Will work over SSH, VNC, and terminal on the desktop. I’m not sure what error message you are getting, but again, the above commands will work just fine on all setups (provided there is not a misconfiguration, of course). Yes ! Now i am able run these line without any errors fron VNC ,dont kown what was the reason for such error . Anyways thanks ! It does not worked for me. I took Memory Error, although I have memory. I tried “pip –no-cache-dir install matplotlib” command. Although I took again another error, at the end of I have installed matplotlib. Will help if you are running into a MemoryError. I have followed your tutorial to install opencv3 using python3 in raspberri Pi3 stretch. I am not getting why this is happening. It’ll be very helpful if you can help me out of this. And you’ll be all set. Really great instructions Adrian, thank you, saved me loads of time. However, i installed everything and found it used up 9.5GB of the sd card, so it might be worth mentioning that 16GB is recommend. I noticed on your setup it only took ~4.2GB. Is that after removing LibreOffice and Wolfram engine? Correct, that is after removing LibreOffice and Wolfram Engine. So worth mentioning if you use a 8GB sd card, you will need to remove LibreOffice and Wolfram Engine, otherwise when you try and build openCV you will most likely run out of space and get an error, then have to build it again, and this step can take hours so not something you want to happen. Hi Bryan — please double-check your internet connection and try again. There might have also been a problem with GitHub when you tried to download the code. I’ve run in to that problem a couple of times using apt-get as well – bet you were running it in the afternoon. Try running it later at night or early in the morning. I suspect the servers get overloaded at peak times. Yes, absolutely. I provide a number of OpenCV install tutorials for various Raspbian distributions here. i cant access to the raspberry pi through Remote Desktop. Hmm, I don’t think this is an issue related to expanding the file system and rebooting. Can you ensure the remote desktop service is properly running? Love the content, I wish I had snapped up the newest course at the early bird discount. If anyone waited 4 hours for compile, and without thinking pasted the “make clean” command. I feel your pain…from now on, read twice, paste once. Silver lining: I’ll never forget what make clean does. Ugh, I’m sorry to hear that Banjo. I’ll be posting an updated Raspberry Pi install tutorial this coming Monday, October 9th which will enable you to compile OpenCV on the Raspberry Pi in about 45 minutes. When I reached the creation of virtual environment part, I accidently created another virtual part for Python 2.7 as well. But I want to work with Python 3. In Cmake output, both interpreter and numpy of Python 2.7 and Python 3 are located in the virtual environment cv. Will it cause any problem in the future? Just to be safe I would suggest deleting both your Python virtual environment via the rmvirtualenv command and correctly creating your Python 3 one. From there, delete your “build” directory, re-create it, and re-run CMake. Hello, thank you Adrian for this tutorial. I get a bash: cmake: command not found. Please make sure you “Step #2” where the “cmake” command is installed. Everywhere I looked, the answer seemed to point to the “OpenCV’s extra modules” which I thought was already installed with opencv_contrib from the github. Indeed, it sounds like your install of OpenCV did not include the “opencv_contrib” modules. You will need to re-compile and re-install OpenCV. the virtualenvironment is killing me. Unless I’m in it, I can’t see cv2 library. If I am in it, python can’t see picamera.array and other modules. This makes the home surveillance blog that was suggested to try opencv out impossible. time spent thus far: 10h compiling (even without make -j, it crashed at 83%, although power cycle -ie too hung to ssh into and stop cleanly) and 3h on this. Definitely not for the faint hearted! Is there an easy way to get needed modules into virtual environment? I have to abandon this soon – it is consuming too much time. A pity really, because I was hoping to bring it to my classroom. Hi Leon — that is the intended behavior of Python virtual environments. Python environments keep your system Python packages separate from your development ones. As far as your Pi crashing during the compile, take a look a this blog post which provides a solution. The gist is that you need to increase your swap space. Hi Aaron — can you please clarify your comment? 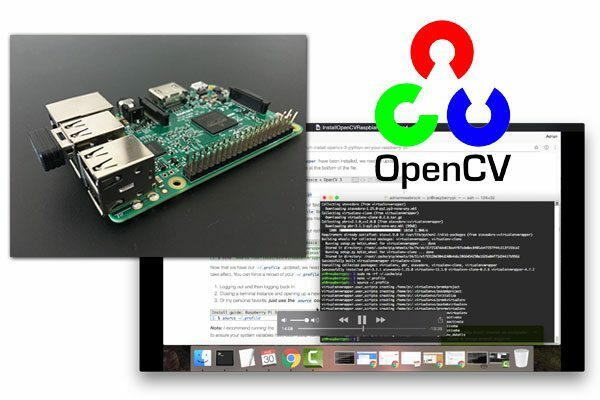 Are you running Raspbian Wheezy on your Pi and want to install OpenCV? I have not tested on the Raspberry Pi 2, but yes, this tutorial should work. “module” has no attribute “xfeatures2d”. I have downloaded opencv_contrib and unzip it properly but still getting error when i run my code on raspberry pi 3. Hi Haseeb — it sounds like your path to the opencv_contrib module during the CMake step was incorrect. Double-check the path, re-run CMake, and re-compile + re-install OpenCV. should I attempt to change to python 3.0, reformat the sd card and start over, or attempt optimizing open CV and make -j4? useing your oct 9th article. I would actually update your swap size, as I discuss in this post. From there, delete your “build” directory, re-create it, and re-compile. sir i have done the solution you mention above that modify the the swap size , but still my installation get stuck at 98 % along with this whole RPI get hang and can’t do anything . So i have to forcefully switch it off directly. Please tell me the solution !! Hey Kaustubh, if you are still having trouble compiling and installing OpenCV I would recommend taking a look at the Quickstart Bundle and Hardcopy Bundle of my book, Practical Python and OpenCV. Inside I have included a pre-configured Raspbian .img file with OpenCV pre-installed. Check it out as it will solve your current issue installing OpenCV. No, IDLE does not respect Python virtual environments. Please use the command line. If you like IDLE, try using Jupyter Notebooks that do work with Python virtual environments. I am not able to import PIL from virtualenv. Can you please suggest how to fix the issue? How did you install PIL? Did you install it into the Python virtual environment? Why can’t your tutorial be run from a shell script? It would eliminate a lot of errors and retries? It can be executed via a shell script in some situations; however, it’s also important to understand how the compile works, especially if you intend on optimizing your install. I also offer a pre-configured Raspbian .img file inside Practical Python and OpenCV. Can this tutorial work on a 8GB card? If you purge Wolfram Alpha and LibreOffice you should be okay, but I would really suggest using a 16GB card. Oh man. I found this link for stretch. It seems to work because everything went smoothly untill I try to compile opencv. At this step cd ~/opencv-3.3.0/ it tells me that the directory does’t exist. So I mkdir one then mkdir build, cd into build. when try to compile, it tells me it doesn’t contain CMakeLists.txt , where is this CMakeLists.txt ? Hi Rich — it’s hard to say what the exact issue is without seeing the directory structure of your project. Can you ensure that OpenCV was properly downloaded and unzipped in your home directory? Open up the a file in your favorite plaintext editor, save it as a .py file, and insert your code. From there execute it via the command line. Could add “nohup” to long-running commands? It’s not unusual to lose the ssh connection and it gets frustrating as the installation is pretty long already. You could absolutely use “nohop”; however, I prefer using “screen”. In step 5, after cmake completes I type ‘make’ but there are no Makefiles that it can run against. Please check your output of “CMake” as it likely returned an error (and thus no Makefiles were generated). I had gotten this error too, and the cmake log files told me that I was missing a header file. I went back through the instructions and found that I had missed installing the opencv_contrib package. thank you. this is the best tutorial i ever seen. Hi Olivia — thanks for the comment. That number will depend upon the packages you have installed in your environment. i just follow your step adrian, why i get that value? is that ok for my next step when i want to using python? I think it is safe to carry on with the instructions. Don’t worry about these values. but i’m unable to access outside (i.e)., Inside the IDLE. Hi Akash — thanks for the comment. Unfortunately, IDLE cannot access Python virtual environments. I would suggest using Jupyter Notebooks which do work with Python virtual environments. Hello Adrian. I just wanted to say thanks. It took a long time but it was a problem-free installation. Nice guide. Congrats on getting OpenCV installed, nice job! Hi Adrian, great walkthrough, tutorial or wathever you want to call it, made it without any trouble in the times that are say… although this only work as long as someone work on the virtual environment, is there any way to make this work outside the virtual env. to use opencv on python directly?? Thanks for everything mate, cheers. Hi Enzo — it’s a best practice to use Python virtual environments. Each Python virtual environment copies the binaries and libraries of your system Python but doesn’t keep any existing installed libraries. Therefore, you can use OpenCV + Python directly. If you do not want to use Python virtual environments you can either (1) follow the steps and ignore virtualen/virtualenvwrapper steps or (2) sym-link any packages into your system install of Python. i do everything in this tutorial but in step #5 when compiling opencv it freeze up at 86%…. It sounds like you might be running out of swap space. Please see this tutorial on how to increase your swap. is there a respbian stretch image that opencv and python have been installed on it??? and i just write this on my sd card and use…. is this possible???? Hi Mory — I would suggest you take a look at the Quickstart Bundle and Hardcopy Bundle of Practical Python and OpenCV. Both these bundles include a pre-configured Raspbian .img file with OpenCV pre-installed. thank you very much Adrian.. Please check the output of CMake — it will report what the specific error is and why the command failed. As I mentioned in my previous reply: scroll through the output of “cmake” in your terminal. Great tutorial… Is there a way to install SimpleCV on top of this? I’ve tried, but keep getting memory errors. Thanks Adrian..
Hi Shane — typically we recommend the power of OpenCV over SimpleCV, but SimpleCV still has merits. Try these installation instructions for SimpleCV. Make sure you’ve properly linked cv2.so to your virtual environment. See Step #6.
do you have a similar guide to install scikit-learn on a pi as well? I have tried to follow these steps multiple times now, but at step I keep getting a wrong output from the cmake. The library, numpy and packages paths are missing. Do you know what I could be doing wrong? Hi Suzannna — perhaps you aren’t inside your virtual environment when you issued the CMake command. Adrian, I followed, I believe all the instructions up to the actual compile where the last thing is type in ‘make’ and it should start compiling. What I get is an error message >> make: *** No targets specified and no makefile found. stop. What did I miss doing? Hey Don — try double-checking your output of CMake. It sounds like the “cmake” command exited with an error. Check the terminal output and you should be able to spot what threw the error. Adrian, I got the same error for make -j4…. i also checked cmake command execution and it returned a few errors….what should i do next?? Be sure to check your output of the “cmake” command. CMake will report an error and what caused the error. Hi Raghuram, did you first use CMake which will generate the Makefile? I started the process again and now it shows an error at 86% ,that says boostdec_bgm.i missing. I was able to install it but could and import cv2 worked on terminal , but it could not work in python please help!! Hey Raghuram — I’m not sure what you mean by you could import the cv2 library in your terminal but not in Python. Could you please elaborate? Are you trying to use Python IDLE? Keep in mind that Python IDLE does not respect Python virtual environments. Adrian, i wanna restart my raspberry from zero. i have install following your step and now i want deleting all and start from zero.. how to do that? If you want to start completely from scratch I would recommend re-flashing Raspbian onto your SD card. If you want to restart your OpenCV compile just delete your “build” directory and recreate it. 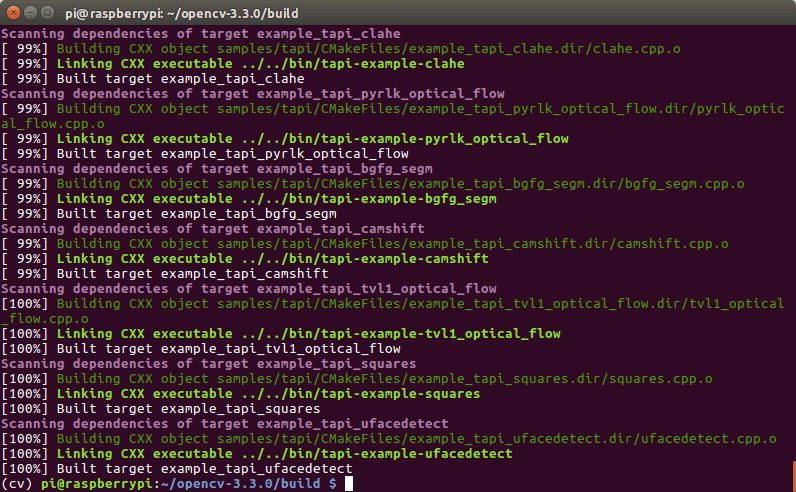 You can only compile OpenCV bindings for ONE Python version at a time. If you have the correct directories for Python 3 then you can proceed with the compile to obtain your Python 3 + OpenCV bindings. In step #5 , I am sure I am in the cv virtual env. — “(cv) pi@raspberrypi:~/opencv-3.3.1/build $ “. But when I type “cmake -D CMAKE_BUILD_TYPE=RELEASE \…..”. I got a error message –“CMake Error: The source directory “/home/pi/opencv-3.3.1/build/CMAKE_BUILD_TYPE=RELEASE” does not exist.”. I got the answer, just like this “cmake -DCMAKE_BUILD_TYPE=RELEASE \”. But I have another question. When I want to make sure my Python3 section, I don’t know I need to check which file. Congrats on resolving the CMake issue. As for checking your “Python 3” section just scroll up in your terminal and examine the output of the “cmake” command. I would suggest checking the output of CMake. It sounds like the “cmake” command exited with an error and did not create the Makefile. I’ve been following a lot of your blog posts and tutorials, and I find them amazing! Thank you so much for this amazing and super easy to follow guide to setting up OpenCV 3 on the new Raspbian Stretch! Thank you for the comment, Shiv! And congrats on getting OpenCV installed on your Raspberry Pi! that was really helpful . i did the make command when i was in the env . Hi Jad — as long as the command executes without error you should be okay. I have compiled OpenCV3 on a fresh version of Rasbian Stretch following your recipe, (although I did not use a virtual environment). I am using a Python script that was developed in Jessie and OpenCV 2.4.9 and have updated the syntax where necessary. Everything seems to be successful apart from one thing, cv2.resize() and cv2.resizeWindow()are not working. They do not throw an error but have no effect on the size of the image or the window (I am using cv2.WINDOW_NORMAL). Is there anything obvious that I may have missed? I’m not sure about cv2.resizeWindow as I’ve never used that function before but to check cv2.resize print the resulting .shape to your terminal. If that’s not your expected dimensions then there is likely a logic error somewhere else in the code. To my horror I suspect I forgot, yes the sym-link step. Can’t get in the cv environment. Hey Ronald, I would suggest going back to Step 4 and ensure you have updated your .profile file. I would also suggest ensuring virtualenv/virtualenvwrapper have been properly installed. Its defiantly in the (cv) environment also. Please see my reply to “Don” and “Raghuram”. I saw your reply to “Don” and “Raghuram” and still don’t know what to do and I am wondering whether you have any input that could help, please? I followed your instructions to the tee – brand new board, brand new stretch OS flashed. As you suspected, CMake indeed spits out errors. What I’m curious about is why have those errors shown up for a few of us on here, but not for some others? i.e. CMake reports LOTS of errors under this recipe – I followed it perfectly. Woops. I know what I did wrong and why CMake failed. It was MY mistake. The recipe works perfectly. The mistake was to cut and paste the CMake command as is. But I had downloaded the original packages and had unzipped them at a location OTHER than the user’s home directory, so the paths in the CMake command had to be changed. This solved the issues and a Makefile got created. Sorry about the false alarm and I hope this helps others. Please you used the full or lite version for Raspbian ? I used the full version of Raspbian but you can use the lite version as well. Hi Sarthak — try using only a single core via make. The compile will take longer but provided you increased your swap it should work. Will increase the swap size help in this? Yes. Increasing the swap size should resolve this issue completely. Please see my reply to “Hidenori Kaga”, “bob”, “Akash”, and others. I have addressed this question multiple times. I DO NOT recommend this method. The apt-get package definitions are often out of date and you won’t have the additional extra modules with OpenCV. I highly encourage you to compile OpenCV from source, using apt-get is not recommended. I followed this tutorial and everything went well to step 5. After the command cmake I get an instant error: “segmention fault” and i can’t go on. The “cmake” command caused a segmentation fault? That’s not good. It sounds like something might be wrong with your Raspberry Pi/Raspbian. Could you re-install Raspbian then try again? Unfortunately I’m not sure what the exact problem is here. Thank you so much sir you are such a great teacher for me. i going to order your book as soon as possible. thank you again God bless you. I thing the virtual environment step is fragile. Initially I created the cv env with python3 as shown, then I created another cvpy2.7 and used workon cv to switch back and then finished the instructions but the build failed. I then tried workon cvpy2.7 and got the failure message I posted above. Before calling it a night I deleted both my virtual environments using rmvirtualenv and did rm -rf of my build directory. I then recreated the python2 virtual environment and finished the steps, but I did the make without the -j4 and went to bed. So you can disregard my comment from last night, but perhaps you could explain the steps to make a second virtual environment using python3. Or is it not possible to have both on the same system? You can create as many Python virtual environments as you want on a single machine. That is why we use Python virtual environments. You DO need to re-compile OpenCV for each Python version you want to use it for. You cannot use the same OpenCV bindings for multiple Python versions. I personally like to create a build directory for each unique Python + OpenCV version and then sym-link the resulting .so file into my respective Python virtual environment. I don’t get the rest …the libraries,the numpy…..
Hi Ravi — thanks for the comment. It sounds like you are indeed in the “cv” environment based on your “interpreter” output. Can you run “pip freeze” to ensure that NumPy is also installed? While running the cmake step, it failed again and again and didn’t make the makefile until I added swap space. This was on a freshly installed stretch distribution running on a Pi Zero W. I’m now waiting for the compile to finish. Should finish sometime over night. It’s only 20% done after 4 hours. As for wearing out the flash card, you can try running fstrim on the card every week to make sure the maximum amount of blocks are available for wear leveling. Did you finally get it to work? Is this process mentioned above completely right for Pi Zero also? I have virtual environments running on my Pi3 for both python2.7 and python3. I think my problem was in step 4, where you forgot to mention that for a python3 virtual environment numpy needs to be installed with: pip3 install numpy instead of the pip install numpy listed. I failed to catch it. Perhaps some guidance on choosing python3 vs. python2.7? My take is python3 is the future and unless a module you need is not available for it, python3 is what should be used. Your samples seem to be written to be compatible with both. I’ve successfully run the deep-learning-opencv example code in both my python2.7 and python3 virtual envirmonments. This is my first experience with virtual environments, I’m not sold on their utility, but time will tell. Hi Walter — my opinion is similar to yours. If you need legacy support and are perhaps running OpenCV 2.4 as well, go with Python 2.7. If you are developing a new project and are concerned with the future, absolutely use Python 3. Also, thank you for the tip on the GTK warning message, that’s a great one! Hi Habib — there are a number of reasons why the “cv2” import would fail. Without physical access to your machine it’s impossible to diagnose just from the import error. I have compiled the most common reasons why the import would fail in the “Troubleshooting and FAQ” section. Please take a look at it. Can’t say thank you enough. I completely forgot you put this together and tried to take your previous building OpenCV on Jessie instructions and update it for Stretch. It kept crashing 90% of the way through make leaving the cpu cranking full out doing nothing with a frozen screen. After a number of attempts at fixing it I stumbled upon the one source I should have started with. You suggestion to expand the swap memory was spot on. Works perfectly! Will this create an issue? Am new to this, so not sure what to do, or if it matters. Hi Suns — it sounds like you are not in the “cv” Python virtual environment as this blog post suggests. Make sure you run “workon cv” before you actually run CMake. I would also suggest deleting your “build” directory and restarting the compile. I religiously followed all the steps until Step#5. However, I’m experiencing a fatal error while compiling opencv (using- make -j4). It says out of memory space..
I’m using 8GB SD card and installed Raspbian Stretch (Desktop version) using NOOBS. And I’ve deleted all the unnecessary software (SonicPi, Wolfram-engine, libreoffice etc.). Before executing make -j4, I had 1.7GB of free space. I’ve tried to install both opencv3.3.0 and opencv3.0.0..
Hi Subrahmanya — it sounds like you may need to upgrade to a 16GB card to resolve this issue or continue to purge packages from your Pi that you do not need. Thank you Adrian for your timely reply.. I upgraded to 16GB and it worked like a charm! However, when I try to run my script using Python 3 (IDLE), it returns be traceback error for import cv2. I executed my script in the terminal after ¨source ~/.profile¨ and ¨workon¨, it executed. Do you have any solution for that? I tried to include above two lines in my script before import cv2, but no help. All I need is to run my script using python shell using import cv2! IDLE does not respect Python virtual environments. You would need to use either the command line, Python scripts (from within the virtual environment), or Jupyter Notebooks. Could you shed some light on how I can resolve this? Hey Jack — take a look at the comment from “Walter B Kulecz”. Walter discusses how to remove the warning (it’s due to GTK). Again, it’s a warning not an error can be safely ignored. Hi Kumar — there are a number of reasons why you may not be able to import the “cv2” library. I have compiled the most common reasons in the “Troubleshooting and FAQ” section of this post. Please take a look and use them to diagnose the issue. If you are still having trouble with the install you can reply back but without knowing which methods in the troubleshooting guide you tried it’s hard to provide any suggestions. I do not suggest doing this. 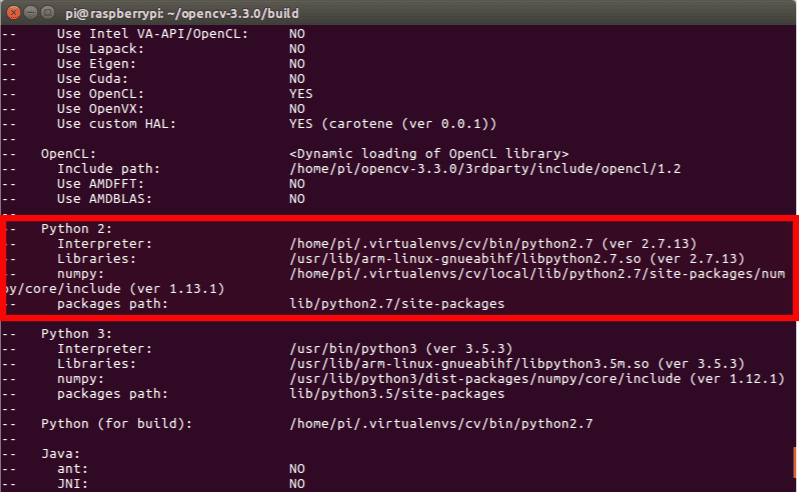 Installing OpenCV via apt-get will install an old version of OpenCV rather than the latest release. You’ll also be missing out on the contrib module along with a bunch of optimizations. I’m following your tutorial but at step 5 I hit my personal nightmare. Hey Matt, I think I think you may have copied and pasted the “cmake” command incorrectly. Make sure you use the “< =>” button at the top of the code block to expand the entire code block and grab the command. It seems like there might be a space after “/home/pi” in your command. Thanks, I successfully installed the opencv for python 3 in my pi2 by your steps, I can access it from my terminal but i can’t access it with my python 3 idle. its show the following error. Hi Jack — IDLE does not respect Python virtual environments and thus you cannot use IDLE with Python virtual environments. I would suggest using either the command line, a Python script, or Jupyter Notebooks. but i installed libgtk2.0-dev and pkg-config then why is it coming? It sounds like you have have installed GTK after running CMake. Try deleting your “build” directory, re-creating it, and re-running CMake + make. You should also verify that GTK has been successfully installed. After successfully installed opencv, I tried to get frame with webcam (Logitech 310), it throw error like “Corrupt JPEG data: 2 extraneous bytes before marker 0xd1 Corrupt JPEG data: 1 extraneous bytes before marker 0xd6”. I have tried to build opencv again with WITH_JPEG=OFF, it does remove the error but I am not able to write an image to disk anymore. Hey Jason, unfortunately I have not ran into this error before so I’m not sure what the exact problem or solution is. Sorry I couldn’t be of more help! No worries, it sounds like you were trying to use the cv2.VideoCapture function to access the Raspberry Pi camera module (you can’t do that without installing more drivers). I put together a class to help switch between USB cameras and the Raspberry Pi camera module — you can find it here. Thanks Adrian for another clear and detailed guide! I’ve successfully used your guides for several opencv installations; I’ve now one interrogation. I have compiled Opencv in its “cv” virtual environment, but I now also want opencv in another separate virtual environment, with a slightly different python 3 version (3.4 for the new virtualenv vs 3.6 for “cv”). Do I need to recompile opencv in the new virtual environment? If not how should I proceed (maybe simply simlimk cv2.so into the appropriate ~/.virtualenvs/ sub directory?)? Please see my reply to “Geoff Riley” as I discus show to do this. It appears that the current make process builds and installs for both versions of python at the same time, so if you attempt to compile once for python2.7 and then for python3.5 the latter install overwrites the previous sandboxed version. I’m sure there must be a way around this, but the brief glance at the makefile didn’t reveal an obvious client. Hey Geoff — the current process should only compile one Python version at a time. Run sudo make install once. Delete your build directory. Re-create it. Run cmake and make again. Copy the resulting cv2.so file to your site-packages directory of your Python install. I don’t know what I have to do now. And I did increase the swap size to 1024. I’m hoping to hear from you soon. Please see my reply to “Don”, “Raghuram”, and “Jonathan”. how can i add unofficial python modules/libraries (picar) to the virtual cv environment (cv)? And this will install the library into the virtual environment. If you’re new to Python virtual environments I would suggest taking a look at this excellent guide. Hi, thanks for sharing. I follow the steps and after successfully install the virtualenv and virtualenvwrapper, and update the ~/.profile file, I got the error : bash: source/usr/local/bin/virtualenvwrapper.sh: No such file or directory. It sounds like virtualenv/virtualenvwrapper were not properly installed. Try running pip freeze and ensuring both are installed. Will this work with the Stretch OS when downloaded with NOOBS? When i went to resize my partition it says it was not possible, that i was running noobs and it was most likely already done. If your partition is already expanded you can certainly use this method to install OpenCV on Raspbian Stretch. First of all thank you for this guide. I was following your guide and made it all the way to step 6. 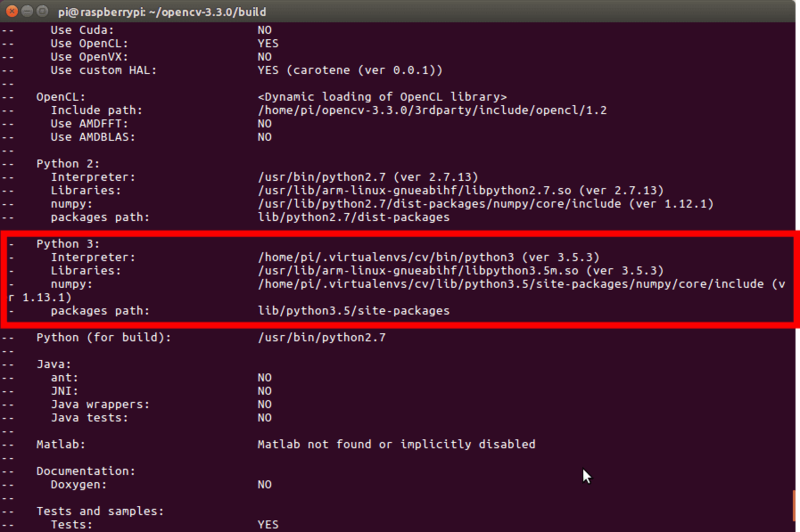 At step 6 where you say to verify that OpenCV + Python bindings are installed by using ‘ls’ command. I get an error saying “No such file or directory”. Does this mean that it installed with an error so I have to redo the “make -j4” command? How can I check what pythons are installed and if I have too many what should I? Hey Alberto — did both “make” and “cmake” execute correctly? same error for me. how did u fix it? Hi adrian! i m too much furstrated because when i start building opencv3.3 on raspabian stretch it gives the error stack smashing detected and dont even start building i have reinstalled the whole os and again tried but the output is same .. kindly reply me because i am doing my final year project and time is limited.. thanks in advance..
Hey Muhammad, I’m sorry to hear about the issues installing OpenCV. However, without knowing what the exact error message is I can’t point you in the right direction. Hi Adrian, if I install OpenCV in a virtual environment per the instructions, can I use OpenCV outside of the virtual environment? Thanks in advance! This would not work. What is your reason for needing OpenCV outside of a virtual environment? There are a few reasons, so I’m interested to hear yours. the environment I’m deploying to will not be used for development, so I felt no need of a virtualenv. Also the links to the project zips are not working anymore, I found /archives/master to get the latest version from the opencv and opencv-contrib repos. I used wget -O opencv.zip https://github.com/Itseez/opencv/archive/master.zip then I unzip opencv-master.zip -d ~/repos/ which will unpack the zip into ~/repos/opencv-master/. I do the same with opencv_contrib, which will go into ~/repos/opencv_contrib-master. cmake -D CMAKE_BUILD_TYPE=RELEASE -D CMAKE_INSTALL_PREFIX=/usr/local -D INSTALL_PYTHON_EXAMPLES=ON -D OPENCV_EXTRA_MODULES_PATH=~/opencv_contrib-master/modules -D BUILD_EXAMPLES=OFF -D BUILD_TESTS=OFF -D BUILD_PERF_TESTS=OFF .. Note: I tried to play around with the switches, turning then on and off, the results were the same. Please provide path to 'opencv_contrib/modules' folder. I checked ~/repos/opencv_contrib-master/modules/ and there are a bunch of modules defined there, I’m not missing them. The cmake error log keeps crying about Regex: 'command line option . * is valid for . * but not for C\+\+' so it’s really confusing me what am I missing. as soon as I submitted this comment the site loaded it in a way so the cmake command was in the middle of the screen so I noticed I specified -D OPENCV_EXTRA_MODULES_PATH=~/opencv_contrib-master/modules instead of `-D OPENCV_EXTRA_MODULES_PATH=~/repos/opencv_contrib-master/modules. Congrats on resolving the issue Pali, nice job! I am a beginner to the pi. i had done all your steps written on this page and the open cv has been installed and i checked it using “import cv2 ” commad in the terminal and it was also a sucess. 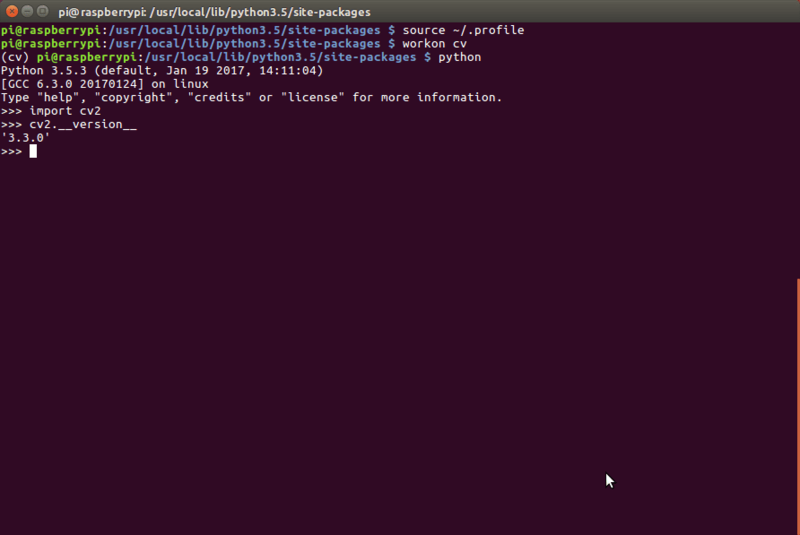 but unfortunately i can’t access open cv from python 3.5 using import cv2. it is telling me that no module named cv2. how will i rectify this. I assume you mean that when “import cv2” is working that it works for Python 2.7? If you want to also use OpenCV for Python 3.5 you’ll need to compile OpenCV again, this time using a Python 3.5 virtual environment. The “make” command does not build OpenCV bindings for every Python version on your system (just the one specified in the “cmake” command). It is not working on python 2.7 too.I actually compilled for python3 but outside the terminal i can’t access it. can u please explain the steps to do so. Can you clarify what you mean by “outside the terminal”? Hey Adrian, I followed your guide because it was mentioned in this guide, https://makezine.com/projects/raspberry-pi-potter-wand/ I was able to successfully install OpenCV but I have never done any code stuff before and your guide is super easy to follow. While the link i mention is confusing, specially to someone with no code experience. I read through some of your other OpenCV guides and found some references that you suggested to other people. I am looking into learning python and linux commands. I was wondering if you could help me out with that project and understanding what some of the stuff means. Thank you Happy Holidays! Congrats on getting OpenCV installed, nice job! As for the project you are referring to, I personally have not gone through it and unfortunately I do not have enough time to cover each individual command and Python function. All that said, if you’re new to the world of computer vision and Python please take a look at my book, Practical Python and OpenCV. Many readers have successfully used this book to learn both Python and OpenCV together. ok yea thank you very much i will definitely be looking at your book. Thanks again! I am a beginner with no knowledge of Linux. My Raspberry Pi 3B hangs at 94% during make and I have tried all combinations of make like ‘make -j4’ with CONF_SWAPSIZE 1024 MB, and with 100 MB, with only ‘make’ with 1024MB and with 100MB, nothing seems to work. I am using a 64 GB MicroSD card(earlier my 8 GB card got full during make), should I try by increasing the size from 1024 to a higher number ? Thought of checking with you first so that I don’t corrupt anything. Thanks. I would suggest changing your swap to 2048MB and then use a single core via just “make”. The compile will take longer but it will be less likely to hang. hello Adrian, thanks for your time, i have a trouble: my rpi has a 8gb sd card, i tried install twice opencv but i got the same error: can’t write pch file: no space left on device. i removed wolfram and office but the space that i can see on windows show me near to 1 mb free after the compilaton didn´t finish (37 % complete and the message about space on device). i hope you’ll can identify the problem, thank you again. Hey Javier, unfortunately it’s hard to say without access to your Pi. Can you reformat your Pi with a fresh Raspbian .img file and try again? I would suggest removing the Wolfram engine as soon as you boot the Pi. I think I looked at all the questions, but did not see clearly whether this could be complied on a Pi Zero. So two questions. Can this be compiled on a Pi 3 and SD card used in a Pi Zero? Or is it possible to compile this on a Pi Zero? It will probably take forever but will it do it? Or is the build not platform specific? Can you compile OpenCV on the Pi Zero? Yes, you can. It will take somewhere between 36-48 hours. Should you? No, I don’t recommend it. The Pi Zero is too underpowered for computer vision and image processing. I recommend a Pi 2 or Pi 3. I’m not sure what you mean by “Comments are always rejected”. All comments go into a moderation queue but comments are not rejected. hi. I’v tried to install opencv3.3.0. Every thing goes fine except when trying to compile hdf5 module : don’t find hdf5.h. Based upon them I created a simple command line tool that eases the whole build process by incorporating all steps. It automatically downloads the current OpenCV sources (v3.4.0), configures them, compiles them on the maximum available CPU cores and installs them inside the currently active virtual environment. You can install it via pip from PyPI (https://pypi.python.org/pypi/cvbuilder) and just have to run „cvbuilder build“ to start the whole process. It takes around 10 min on a Core i5-3320M. On a Raspberry Pi3 you need to run it on one core by overriding the CPU count „cvbuilder build –cpus 1“ due to memory constraints and heavy swapping. It will take approx. 2h, but you can install it into other virtual environments without compiling as long as the folder ~/temp/opencv remains. Failed after 32h, won’t compile at all. Hey Frank — I’m sorry to hear about the issue getting OpenCV installed. It can be quite a pain sometimes, especially if there is your first time installing OpenCV on the Raspberry Pi. Did you receive an error during the compile? Hi, Adrian i have followed the steps and i have done it successfully. and followed the rest of the steps. What shall i do? and i only have 3GB available will it be enough for the new environment? If your error is that you do not have the scikit-image library installed is there a particular reason you can’t install it into your existing Python virtual environment? This library and SciPy will take a long time to install so you should leave your Pi running overnight. To answer your second question provided you have already ran “sudo make install” you can delete your “build” directory and re-create it. Adrian, thank you for this step by step comprehensive guide. I was able to install and compile the opencv on my Pi 3, using the 1024 big swap value and 4 cores in 50 minutes only :)…. a record, probably due to a very fast Sandisk SD. I had to quicky add a fan over it to cool down the cooler, and so the overtemp icon disappear, and I was successfully able to finish the compile. And thank you for picking up a copy of my book, I hope you enjoy. Please reach out if you have any questions. I need the smbus package for I2C though. How can I use smbus in the virtualenv ? This virtual blabla is confusing and probably unnessesairy when working on one project isn’t it. ? Hi Adrian, love your tutorials. I was wondering if you know the proper name of the application that displays the openCV windows? I ask this because I’m trying to control the parameters of the opencv window in OpenBox (for example, no decor on opencv windows). OpenBox allows one to control how the window is displayed, but the correct name of each application needs to be called. I’ve tried python3, opencv, gtk, highgui, and many others. I’m stabbing in the dark at this point. Hopefully you have some insight in this. If you installed OpenCV on the Raspberry Pi using this tutorial then GTK and the X window manager should be used. The name of the GUI library in OpenCV is called “highgui”. How that interfaces with OpenBox I’m not sure. I hope that helps! I have following your tuto on my Pi on Rasbian Stretch and Rasbian strech lite. For the first installation all work, but on the lite, my virtualenv only work when i’m superuser! how to modify my actual virtual environment so that it is accessible as a simple user and that cv2 is recognized under python3? That is quite strange that it only works when you are the superuser. Did you install the Python virtual environment for the normal “pi” user or for the superuser account? Thanks Adrian, it was actually the name I assigned to my imshow function…cv2.imshow(“MyWindow’sName”, frame). I found this out by running “xprop WM_CLASS” then clicked on my window. Thanks for a really helpful tutorial Adrian. The snag that I have is that previously installed packages (such as wx) are not available from within the virtual environment. Could you suggest a set of steps to either move cv2 out of the virtual env, or put other packages into it – whichever is most appropriate. How can I find what’s wrong ? This isn’t a failure, it’s just picking up the Python 3 binary in your Python virtual environment. You’re okay there. Make sure you delete your “build” directory first and then re-create it before re-running CMake. Thanks for the tutorial. After installing everything going down the pyhton2.7 path, I test the installation with the import cv2 command and get nothing as a response, just the symbols >>> on a blank line. My cv2 file ended up in the dist-packages folder instaed of the site-pacjkages folder, does that matter? I can’t figure out how to move it. I get “permission denied” when using the gui and “no such file or diresctory exists” with the mv command, can you help? As long as you can import it without an error you should be okay. I’m not sure why it would have installed in the “dist-packages” directory though. You can use the “sudo mv” command to move the file if you so wish. hi Adrian, i am following your tutorial on my Pi on Rasbian Stretch on raspberry pi3. while editing swapsize i was not able to save /etc/dphys-swapfileit says permission denied . i am not able to figure out what to do . Make sure you use the “sudo” command to give yourself root permissions to edit the file. I am using the Raspberry Pi zero W. I followed the instruction and it works well. However, I meet a problem. I don’t know why the pi always stucked at “87% Building CXX object modules/python3/CMakeFiles/opencv_python3.dir/__/src2/cv2.cpp.o”. And I use the VNC to connect the pi. Once the process reach the 87%, the VNC will be stucked. And if I disconnect it and re-connect it. It will be failed. So the only thing I can do is disconnect the power line and reboot it. And when I process “make”. It will be stucked at 87% again. Could you please show me some hints to fix this problem? It has already take more than 6 hours. And from 0% to 87%, it took me more than 15 hours. Waiting for your reply. It is quite urgent. Thank you so much. 1. I don’t recommend using a Pi Zero for computer vision. With only a single core it’s far too underpowered. I would recommend a Pi 2 or Pi 3. 2. It sounds like your might need to increase your swap size, as I do in this tutorial. Hi Adrian can you please guide me through this? Can you tell me which commands to use in the terminal to do so? For a start how do I delete the build directory? Okay I managed to remove the directory build and create it again. And I tried to squeeze in the switch in cmake, but still got an fatal error: stdlib.h: No such file or directory. I am using opencv 3.1.0 and not 3.3.0 as the video tutorial is based upon. During step 5, after running cmake, my output in the python 2 section does not include the libraries, numpy, and packages paths. It only lists Interpreter. It does look correct for the python 3 section but I would much rather use python 2. How do I fix this? Hey Scott — did you use a Python virtual environment? Double-check that you didn’t accidentally create a Python 3 virtual environment instead of a Python 2 one. It is compiling till 90% and freezes out later. Tried 4 times reinstalling raspian stretch. I would suggest increasing your swap size as I do in this blog post. Thanks for the quick answer Adrian. I have been trying everything all over again with version 3.3.0 instead of 3.1.0. That seemed to have fixed the issue. Atleast python doesn’t throw any import errors for cv2. I have a USB cam connected to my Raspberry Pi 3 and would like to test if everything is working and so forth. This example also requires that ffmpeg and gstreamer is installed. So before potientially disrupting the system, by installing more dependencies. I would like to hear you out, what your take is on this. 1. If you have a working system now make sure you backup your .img file to your laptop/desktop, just in case you ever want to flash your .img back to your SD card. Founds: make: *** No targets specified and no makefile found. Stop. Please see my reply to “Don” on October 28, 2017 and and “Raghuram” on October 29, 2017. If you ctrl + f your error message on this page you’ll likely find a similar content. Hey Paul, I’m sorry to hear about the import issue. So you can import the “cv2” library when executing a script from the command line? But not from the Python shell? Are you launching the Python shell from the terminal? Or using IDLE? Keep in mind that Python IDLe does not respect Python virtual environments. any tips on how to expand a NOOBS created image on a larger card? After a NOOBs install, “file expand” does not work (apparently because the max space is already available to the OS, although I don’t believe this). It is extremely frustrating (and boring) trying to get something so simple done. Complexities expanding to a larger card should also be mentioned as a downside to installing with NOOBs. Do I need to resort to editing the partitions directly with gparted? (as described here https://learn.adafruit.com/resizing-raspberry-pi-boot-partition/edit-partitions). PS I’d rather not start over with a fresh install of Raspbian on the 32G card. I’ve downloaded quite a lot of packages. Hey Rob, I’m sorry to hear about the issues expanding the SD card. As far as I understand, using raspi-config to expand should handle it. If the partition is still not being resized you’ll have to either use (1) gparted to resize the partition or (2) start over fresh if you cannot resize the partition. Other PyImageSearch readers might have better suggestions as well. thanks for your reply. raspi-config definitely won’t expand for an image created under NOOBs. I think this is reasonably well known. I appear to have expanded the root partition of my 32G card with gparted. The tricky bit is to recognise the extended partition which contains other (sub?) partitions. You need to resize that first before you can increase the size of anything inside it. Not knowing much about partitions, I may have mucked this up but for the moment it appears to be working. Raspbian boots and the /dev/root has all the space I need. I hope this helps others with a similar issue. lines before running the python file? I have been trying to make up a shell script to do that but I get a ‘not found’ error when it encounters the source and workon lines. Hey Roy, I cover how to run a Python script on reboot in this blog post. You’re on the right track but be sure to read the comments section as well where I discuss a few alternatives as well. Hey Ferishta — so if I understand your question, you can import the “cv2” library into your Python shell but you cannot import the “cv2” library from a Python script? When executing your Python script are you sure you are in the “cv” virtual environment? Make sure you are, otherwise the script will not be able to find your libraries. Omg thank you for your quick reply!! When I try to run the python script it gives me that “no module named cv2 error” so you’re saying prior to running my script I should use the workon command to get on the virtual environment? Also when I follow the path to site packages, it says “no sub folders” and from my understanding that’s where cv2 should be installed. Correct ? Correct, use the “workon” command to enter the Python virtual environment. You only need to run this command once per terminal session. $ sudo apt-get install libjpeg-dev libtiff5-dev libjasper-dev libpng12-dev in raspbian stretch (debain 9) normal pc version, there are some errors like no such file to install or download. So how can I fix it ? Hi Ferishta — I’m sorry you are having trouble getting up and running with OpenCV. It can be a trying process, especially if this is your first time installing OpenCV. The first time I installed OpenCV back in undergrad it took me 3 days. Since then the install process has gotten easier. All install posts here on PyImageSearch are thoroughly documented and tested by me. There are undoubtedly some “gotchas” that creep up — that is part of configuring your development environment. If you would like to share the command you are trying to run, or better yet, take a screenshot of your terminal as you run the command, it would be helpful in diagnosing the issue. Keep in mind that myself or other PyImageSearch readers cannot replicate your environment exactly and most of the time these issues creep up due to an error in a previous step that was missed or an issue when actually executing the command (for example, trying to execute the script as “sudo”). Help us help you by sharing more details. I get that you’re frustrated but without knowing more we cannot diagnose the issue. I did have one concern though. While all of the python scripts now run, and I see the excpected out, I do get a warning message on my screen. Could you please tell me what this warning is and how can I make it go away? Thank you so much, Adrian!!! I installed open cv 3.3 successfully yesterday but today when I am trying to import cv2 its giving error no module named cv2.Why is it like this? And from there open your Python shell or execute the script. Huge thanks for the step-by-step tutorial. You are a savoir, however i still need to get over one obstacle to proceed. i am certainly in the (cv). Please help me i have a competition two days from now. From what I can see it looks like you have OpenCV correctly installed on your system but I would double-check that your sym-link points to a valid file. The “find” command would still report a “cv2.so” file on disk (since a sym-link is still a file) but the sym-link may be pointing to a file that does not exist. Make sure you double-check those paths. If you’re in a rush and need to get up and running for your competition I offer a Raspbian .img file with OpenCV pre-configured and pre-installed inside the Quickstart Bundle and Hardcopy Bundle of my book, Practical Python and OpenCV. This would enable you to download my Raspbian .img file, flash it to your SD card, and boot. When you say “stuck” do you mean the compile ends with an error? Or your compile + Raspberry Pi freezes? The more detail you can give the better myself and other PyImageSearch readers can help you. Try increasing your swap size as I do in this optimized OpenCV install tutorial. Im not getting the respective line as shown in the tutorial video…. Thank you so much Adrian i have installed it all with your help, hope my anti drowsiness detection system will be done soon. Thank you! I’m happy to help JP — best of luck with the project! 1st, thanks for all you do, I can’t get over how many tutorials you provide. Step 5. When I do cmake CMAKE_BUILD_TYPE=RELEASE \ should the process hang at ”>” (if I include the ”-D” I get a ”bash: -D: command not found”)? Nothing happens until I press [Enter] a second time. And then I get ”CMake Error: The source directory “/home/pi/opencv-3.3.0/build/CMAKE_BUILD_TYPE=RELEASE” does not exist. Specify –help for usage, or press the help button on the CMake GUI. @ Except we aren’t using a GUI . . . and I thought the build was supposed to create the directory? Hey Ron — I’m pretty sure there was a problem copying and pasting the cmake command. If you’re having trouble try copying and pasting it line-by-line (without hitting enter). Once the entire command is copied into your shell, execute it. It’s stuck in 90% i followed your swap size and it still doesn’t work. Please help me. Hey Carl — can you try compiling with a single core via “make”? Hello sir, thanks a lot! I tried compiling it with a single core via “make” and it was a success. I already installed it and it worked. However, i’m just curious, what’s the difference of the 4 cores and single core when compiling? In short: speed. Using multiple cores can reduce the time the compile takes, making the compile run faster. It has no impact on how fast the OpenCV library will run after it’s installed. I could not install.Could you tell me solving? Thanks to you I have installed and I was able to run the sample program. Can I run OpenCV on Thonny Python IDE (Python 3) without using Virtualenv on LXTerminal? “Import cv2” always causes an error. My environment is Raspberry pi 3, NOOBS 2.4.5. Yes you can, but you would need to skip all Python virtual environment instructions in this guide. I’m not familiar with the Thonny Python IDE but you might want to see if it has a project interpreter similar to PyCharm. You can set the project interpreter to point to the Python virtual environment that has OpenCV installed. I had an issue where the builder stalled around 45%, but I reran make without the -j4 command and it worked – but had to be run overnight as it probably took at least 4 hours. Many thanks for the excellent walk through – there is no way I could have installed openCV without your notes! Me too??? Did you find a fix? Hi Kurt and Amber — did you follow Step #4 to create the ~/.profile file with the important virtualenvwrapper information? Hello, while attempting to create my build files for my Pi 3 using a python 3 virtual environment using the cmake commands, I keep getting this error, “The source directory Blah/Blah/blah does not exist”. How do I fix this? Hey Philip — make sure you are in the “build” directory before executing the “cmake” command. Don’t forget the “..” at the end of the cmake command as well. Try updating your swap size as we do in this tutorial. Updating your swap size will resolve the issue in the vast majority of situations. Thanks Adrian for your wonderful work and your time and help. I have finally suceded on installing opencv-3.4.0 on the PI3. Hm, I’m not sure on this one. My guess is that you compiled OpenCV for one version of Python but then imported it into a different version of Python. Check your cmake output and ensure you built the correct bindings for your Python version. Thanks for the help Adrian! With your help I got past that problem. However, now I’m having a problem increasing the SWAPSIZE of my SD card. None of the changes I make to the swapfile save. I have tried using sudo nano to write to the file but after my changes are made the nano command just saves the swapfile under a different name; making my changes useless. Any insight? Wow, that’s some strange behavior from the nano command. I’m not sure why that would happen. Have you tried using a different editor? And have you tried restarting the swap service after making the change? Yes, I have restarted the swap service and I’ve tried using a different editor. As soon as I go to exit the editor and it asks me to save my changes I get an error that I can not due to permission settings. Oh, I see the error now! You need root permissions to edit the file. l have tried different editors but the result is the same. I’ve been able to compile the build files to 97% so far but has taken days and I’ve had to powercycle the PI every time the compilation gets hung. Also, I have tried restarting the SWAP service too after making my changes but doesn’t work either. Wow, that is very, very strange. I’m sorry, I’m honestly not sure what to suggest Philip. Could you try re-flashing your SD card with a fresh install of Raspbian and seeing if that fixes the issue? Again, I’m not sure why you would be unable to edit the file. Hey Derannson — could you share the full output of ‘make’ in a GitHub Gist? Without seeing the full output it’s unfortunately impossible to know what caused the error.